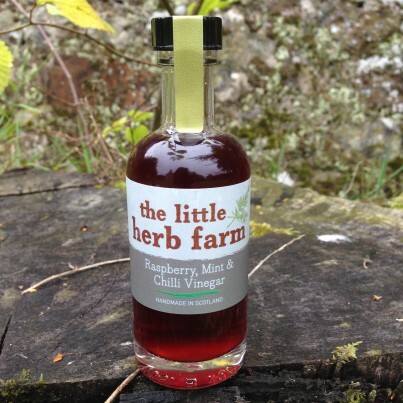 A delicious sweetened fruit vinegar, rich in raspberries with cool mint & a little chilli heat. Drizzle over Camembert or salad and for those Secret Service Agents amongst you, Splash into a Vodka Martini! Ingredients: Raspberries, Sugar, White Wine Vinegar, Rosemary.